While you may be excited to start your paramedic training, it’s important to understand exactly what you’re doing, as well as how to go about doing it. For example, do you know how much paramedic classes cost? Do you what the minimum age requirements are for each school that you’re interested in applying to? Are you aware that some schools require written recommendations and in-person interviews? Or that some programs or paramedic employers may not be interested in your services if you’ve been charged or convicted of a crime? There are a whole lot of little things to be aware of when it comes to learning how to become a paramedic. So let’s examine them here. First, let’s start with one important thing to know: As of January 1st, 2013, all students who are interested in receiving national certification from the NREMT will now be required to have graduated from an accredited paramedic program. To find accredited programs, be sure to visit CAAHEP.org. With that said, as far as each school is concerned, there are a number of prerequisites students must meet before having the opportunity to be seriously considered for any program. And while each paramedic program is different, the general requirements are as follows. You must be 18 years or older. You also must have graduated from high school or received your GED. You’ll need a valid driver’s license. 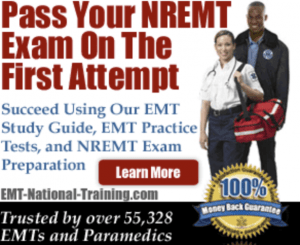 You must already hold EMT certification. That does not mean, necessarily, that you need to have EMT work experience (although some paramedic programs encourage students to work as an EMT first before taking paramedic classes). You’ll need to have CPR certification. You’ll also possibly need to have already taken an anatomy and physiology course. If you haven’t done this, please check with the school you’re interested in applying to. It’s quite possible that they offer an anatomy and physiology class as part of the overall paramedic program. Some programs may even ask their prospective medics to hold Advanced Cardiac Life Support certification, as well. You will also need to be able to show that you’re a healthy person. That means you’ll need to have had a physical exam, as well as show proof of several immunizations. You will need to be immunized for illnesses like Tuberculosis, Hepatitis and Measles, Mumps and Rubella to name a few. You’ll also need to pay an application fee to each program you apply to, which can range in price depending upon where you apply. Now that you have a better understanding of how the application process for becoming a paramedic student works, you may be wondering about tuition cost. The truth is that the cost of paramedic school varies greatly. With that said, you can expect to pay anywhere between $1,000 and $10,000 for a paramedic program. Course length varies too, as there are a wide variety of programs schools offer. Some programs may provide students with weekday classes. Others may provide more flexibility with a weekend course. Some schools even offer online paramedic training. What that often means is that a Hybrid Paramedic Program is being provided to students, allowing them the opportunity to learn both in the classroom as well as over the Internet. This is of course extremely convenient if you have a day job or you’re the primary caretaker within your family. With that said, paramedic classes can take anywhere from six months to about two years to complete. Depending on the program, you may graduate with either a certification or an actual degree. It’s worth briefly mentioning what goes on once you’ve actually graduated a paramedic course. After graduation, you’ll likely want to find a job, but you must do a few things first. One, it’s recommended that you apply for national certification with the NREMT. To do so, you must pass the NREMT exams, with his both a computer adaptive test and a skills test. Still, passing the national registry paramedic exams doesn’t mean you’re qualified to work as a paramedic on the state level. It’s simply a national recognition. To be eligible to work as a paramedic in your state, you’ll need to apply for state licensure. This can often be as easy as filling out some paperwork and submitting it to your state’s EMS agency, or more involved, requiring you to successfully pass a state examination.